This past weekend I loaded up the books and headed to the Louisiana CHEF homeschool conference with another consultant, and two boys. It is the first time that I did this conference, and did not know what to expect. If it was not for the other consultant I would not have gone at all, but I am glad I did. We received a warm welcome and had many visitors came to our booth. It was great to hear what many had to say about Usborne's books. Multiple people commented on the quality of the books, and one mother mentioned that some of our books had been used by four different students, and were still in great condition. 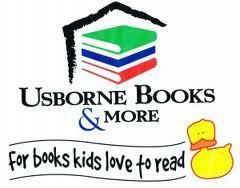 One of the speakers came by, and commented that she was happy to see that Usborne was still around, she used Usborne also. The consultant who went with me is new to the business, and talked me into going for the experience. Yesterday while we were talking she shared with me that while at the local Catholic homeschool conference she could not stay away from the booth. She said she was not even sure why she came over, as she was walking over, she had a conversation with her self concerning the amount of books currently in the home. But, she said the books were like magnets, and she could not resist coming over. The books she said intrigued her interest, and she was excited to take them home for her five children. While I know the quality of Usborne books it is nice to know what others have to say about them. Just wanted to share, it is nice to have confirmation from others about what you do. Stop by my Usborne Books and More web site to see the current online specials, remember they change monthly and you can save up to 50%.